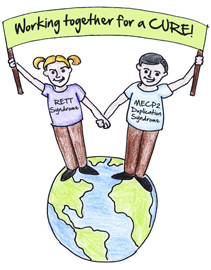 The study included findings from MRI brain scans from 30 individuals with MECP2 duplication syndrome. The sample included males and females from under one year old to 49 years old. 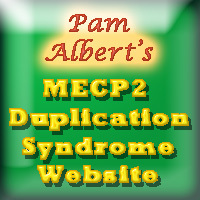 The MECP2 duplications included short and long duplications, duplications on the X chromosome and translocations to other chromosomes. The study was designed to determine if other specific genes included in the duplicated material influenced the observed MRI findings, however, no systematic differences were found. There was some limited evidence of increased atrophy of some structures over time. abnormalities or underdevelopment of the corpus callosum (67% of individuals) The corpus callosum is the main connection between the right and left side of the brain. It was frequently described as poorly developed, thin, or missing. reduced white matter volume (40% of individuals) White matter comprises the area of the brain where most connections are made. Half of the individuals studied were epileptic and almost all of those had poorly controlled seizures. There was no clear difference in brain structures and presence or absence of seizures. Some previous studies have reported similar findings. One interesting finding was on head circumference. Most individuals were within normal limits, but there were some in the microcephalic range and others in the macrocephalic range. El Chehadeh, S., Faivre, L, Mosca-Boidron , et al. (2016). A.Large national series of patients with Xq28 duplication involving MECP2: Delineation of brain MRI abnormalities in 30 affected patients. American Journal of Medical Genetics, Part A, 170A(1):116-29. doi: 10.1002/ajmg.a.37384. 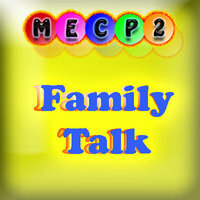 This entry was posted in health, Publications, Research, Symptoms / Not symptoms and tagged health, health care, Research. Bookmark the permalink.